Amory Bloch Lovins (born November 13, 1947 in Washington, DC) is Chairman and Chief Scientist of the Rocky Mountain Institute. For four decades he has worked in energy policy and related areas. Lovins worked professionally as an environmentalist in the 1970s and since then as an analyst of a "soft energy path" for the United States and other nations. He has promoted energy efficiency, the use of renewable energy sources, and the generation of energy at or near the site where the energy is actually used. Lovins has also advocated a "negawatt revolution" arguing that utility customers don’t want kilowatt-hours of electricity; they want energy services. In the 1990s, his work with Rocky Mountain Institute included the design of an ultra-efficient automobile, the Hypercar. Lovins has received ten honorary doctorates and won many awards. He has provided expert testimony in eight countries, briefed 19 heads of state, and published 29 books. These books include Winning the Oil Endgame, Small is Profitable, Factor Four, and Natural Capitalism. In 2009, Time magazine named Lovins as one of the world's 100 most influential people. Lovins spent much of his youth in Silver Spring, Maryland and in Amherst, Massachusetts. In 1964, Lovins entered Harvard College. After two years there, he transferred in 1967 to Magdalen College, Oxford, England, where he studied physics and other topics. In 1969 he became a Junior Research Fellow in Oxford’s Merton College, where he received an Oxford master of arts (M.A.) as a result of becoming a university don. However, the University would not allow him to pursue a doctorate in energy, as it was two years before the 1973 oil embargo, and energy was not yet considered an academic subject. Lovins resigned his Fellowship and moved to London to pursue his energy work. He moved back to the U.S. in 1981 and settled in Western Colorado in 1982. In 1979 he married L. Hunter Sheldon, a lawyer, forester, and social scientist. Hunter received her undergraduate degree in sociology and political studies from Pitzer College, and her J.D. from Loyola University's School of Law. They separated in 1989 and divorced in 1999. In 2007, he married Judy Hill Lovins, a fine-art landscape photographer. During the early seventies, Lovins became interested in the area of resource policy, especially energy policy. The 1973 energy crisis helped create an audience for his writing and an essay originally penned as a U.N. paper grew into his first book concerned with energy, World Energy Strategies (1973). His next book was Non-Nuclear Futures: The Case for an Ethical Energy Strategy (1975), co-authored with John H. Price. Lovins published a 10,000-word essay "Energy Strategy: The Road Not Taken?" in Foreign Affairs, in October 1976. Its contents were the subject of many seminars at government departments, universities, energy agencies, and nuclear energy research centers, during 1975-1977. The article was expanded and published as Soft Energy Paths: Toward a Durable Peace in 1977. Lovins has briefed 19 heads of state, provided expert testimony in eight countries, and published 29 books and several hundred papers. His clients have included many Fortune 500 companies, major real-estate developers, and utilities. Public-sector clients have included the OECD, UN, Resources for the Future, many national governments, and 13 US states. Lovins served in 1980-81 on the U.S. Department of Energy's Energy Research Advisory Board, and in 1999-2001 and 2006-08 on Defense Science Board task forces on military energy efficiency and strategy. His visiting academic chairs most recently included a visiting professorship in Stanford University's School of Engineering. Lovins has described the "hard energy path" as involving inefficient energy use and centralized, non-renewable energy sources such as fossil fuels. One of Lovins' main concerns was the danger of committing to nuclear energy to meet a society's energy needs, due chiefly to what he considered its poor economics and high risk of fostering nuclear weapons proliferation. Lovins argued that besides environmental benefits, global political stresses might be reduced by Western nations committing to the soft energy path. He believes soft path impacts are more "gentle, pleasant and manageable" than hard path impacts. These impacts range from the individual and household level to those affecting the very fabric of society at the national and international level. 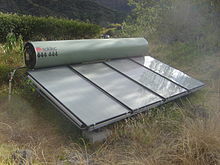 A negawatt is a unit in watts of energy saved. It is basically the opposite of a watt. Amory Lovins has advocated a "negawatt revolution", arguing that utility customers don’t want kilowatt-hours of electricity; they want energy services such as hot showers, cold beer, lit rooms, and spinning shafts, which can come more cheaply if electricity is used more efficiently. Lovins explains that many companies are already enjoying the financial and other rewards that come from saving electricity. Yet progress in converting to electricity saving technologies has been slowed by the indifference or outright opposition of some utilities. A second obstacle to efficiency is that many electricity-using devices are purchased by people who won’t be paying their running costs and thus have little incentive to consider efficiency. Lovins also believes that many customers "don't know what the best efficiency buys are, where to get them, or how to shop for them". Amory Lovins has developed the design concept of the Hypercar. This vehicle would have ultra-light construction with an aerodynamic body using advanced composite materials, low-drag design, and hybrid drive. Designers of the Hypercar claim that it would achieve a three- to fivefold improvement in fuel economy, equal or better performance, safety, amenity, and affordability, compared with today's cars. Amory Lovins has received ten honorary doctorates and was elected a Fellow of the American Association for the Advancement of Science in 1984, of the World Academy of Arts and Sciences in 1988, and of the World Business Academy in 2001. He has received the World Technology Award, the Right Livelihood Award, the Blue Planet Prize, Volvo Environment Prize, the 4th Annual Heinz Award in the Environment in 1998, and the National Design (Design Mind), Jean Meyer, and Lindbergh Awards. Lovins is also the recipient of the Time Hero for the Planet awards, the Benjamin Franklin and Happold Medals, and the Shingo, Nissan, Mitchell, and Onassis Prizes. He has also received a MacArthur Fellowship and is an honorary member of the American Institute of Architects (AIA), a Foreign Member of the Royal Swedish Academy of Engineering Sciences, and an Honorary Senior Fellow of the Design Futures Council. Eryri, the Mountains of Longing San Francisco, Friends of the Earth, 1972. (with Philip Evans) ISBN 978-0841501294. 181 p.
Openpit Mining London : Earth Island, 1973. ISBN 978-0856440205. 118 p.
World Energy Strategies: Facts, Issues, and Options London : Friends of the Earth Ltd for Earth Resources Research Ltd, 1975. 131 p. ISBN 978-0884106012. ^ Amory B. Lovins. Energy Strategy: The Road Not Taken? Foreign Affairs, October 1976. ^ a b c d The International Who's Who 2010, 73rd edition, Routledge, 2009, p. 1338. ^ Amory Lovins. Nuclear Power and Nuclear Bombs, Foreign Affairs, Summer 1980. ^ a b c Amory B. Lovins. The Negawatt Revolution Across the Board, Vol. XXVII No. 9, September 1990, pp. 21-22. ^ a b Amory B. Lovins. The Negawatt Revolution Across the Board, Vol. XXVII No. 9, September 1990, p. 23.